As a huge fan of our Bugs, I often can be found at the Spectrum Center on game day. Sometimes I am lucky enough to sit in great seats and am glued to the action on the court in front of me. Other evenings, I opt for the cheap seats, as I did on Friday night when the Hornets hosted the Hawks for the 2017 home opener. The upper deck is a world of its own. I wanted to share my perspective on our ’17-’18 Hornets, but also on the world that exists in the upper levels of the Hive. As I walk up the steps to row S of section 227, I look around and notice the people around me. I see some familiar faces, most I don’t recognize. There are a few things that did become noticeable to me, however. This was Charlotte. Many of the folks that I spoke with were native Charlotteans, and life long Hornets fans. Even the occasional Raymond Felton Bobcats jersey wasn’t out of the question. 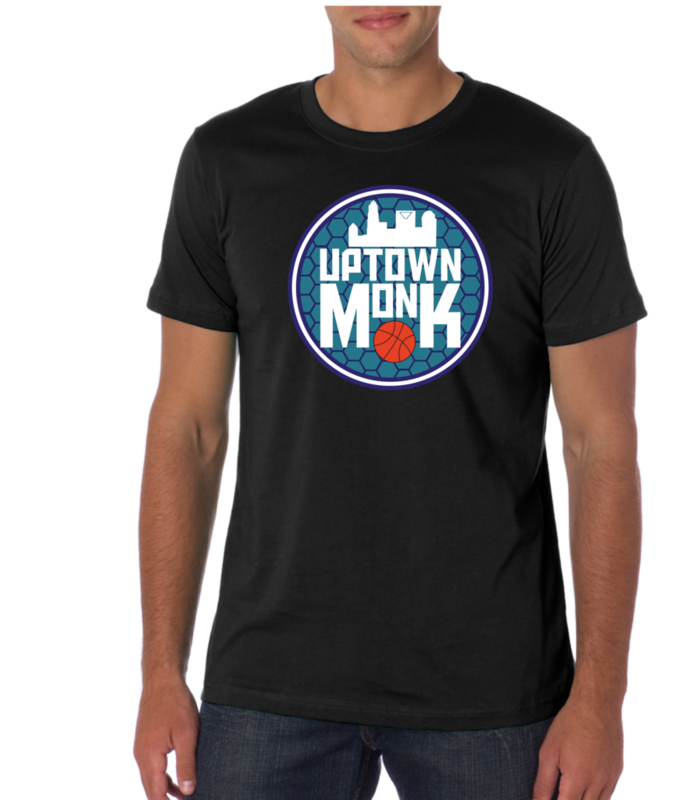 Fathers and their sons, college kids rooting for their hometown team, local school field trips, kids excited for their new Buzz City Alive t-shirt that swallowed them whole, etc. The closer to the top we got, the more fun I seemed to have. These were often people who were experiencing a game in person for the first time, and the excitement was noticeable. Chants of “let’s go Hornets” and “bee-fence” erupted five minutes into the game. “Being near the action is a special opportunity, but being in the upper deck is an experience of its own. If offered a chance to sit up there, don’t be upset that you are far from the action on the court, be excited that you are around true Charlotte fans. Boy, the Hornets really started slow on Saturday night. While the Hornets are in “win now” mode, the Hawks seem to be in “tank now” mode. While the absence of Nic Batum, Michael Kidd-Gilchrist, Michael Carter-Williams, and Cody Zeller was well documented, the slow start was worrisome. I couldn’t help but wonder “is this what we were going to see all season?’ The turnovers continued from Wednesday night, the second unit struggled to keep up, and perimeter defense was non-existent. Clifford’s squad had no inside presence and were settling for jump shots that they didn’t hit enough of. I began to envision an 0-2 start to the season while looking ahead at a tough schedule. Then the second half started. Whatever Steve Clifford said at halftime, show that speech to the troops, at graduations, to the Carolina Panthers. What a different second half we were treated to! The Hornets had energy that we had not seen yet in 2017. Frank Kaminsky, Kemba Walker and Dwight Howard stole the show as the Hornets out-scored Atlanta 60-35 in the second half, aided by a 24-0 run. When asked about his mentality against his former team, Howard laughed and said ”’I just wanted to go out there and dominate – and that has to be my mentality every night”. Dominate Howard did with 20 points and 15 rebounds, and a ridiculous +34 rating. Jeremy Lamb and Treveon Graham has nice games as well with 15 and 9 points respectively. Frank Kaminsky added 21 points on 50% shooting. Kemba Walker should be an All-Star again this year, and was treated to an “MVP” chant from the crowd of 19,000. His 26 point and 9 rebound effort was a joy to watch. The largest growth in Walker’s game has been his assist numbers, which have grown steadily. For the Hornets to be successful this year, he will have to continue to get his teammates involved. Has this been the Hornets best draft in the past decade? While it is certainly too early to know for sure, it is hard to find another that stacks up. Dwayne Bacon has been starting in the absence of Kidd-Gilchrist, and playing nicely. He has the size defensively to guard players on the wing, and has done a marvelous job of keeping possessions alive with 11 rebounds on Friday. Look for his role to continue to grow as he becomes a more efficient shooter. Malik Monk is going to be a star. I have no doubt that he is going to be a player that we lean on heavily for the next decade. He isn’t there yet though, as the lights appear to be too bright for him so far. Don’t expect this to continue as Monk hit two huge 3 pointers in the second half and had a confidence about him that was exciting to see. If he can become the play-maker he was in the preseason, the Hornets offense instantly becomes a lot more dynamic. The Hornets take on Milwaukee on Monday night without five key players. Can Kemba Walker and Dwight Howard carry the load? We will find out. See you at a future Hornets game at the Hive, likely from the cheap seats.